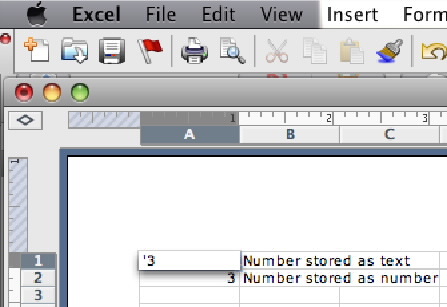 When you input a number into Microsoft Excel, it is automatically stored as a number. Makes sense, right? Data stored as numbers is easy to use and manipulate in formulas, and particularly helpful if you need to sort the worksheet by certain values. However, there are certain times that you might want to have a number stored as text instead. This can be useful for looking up dates in your spreadsheets, since having all of your numbers stored as text streamlines this process considerably. Does your number appear on the left side of the cell? It’s stored as text. Does your number appear on the right side of the cell? It’s stored as a number. So, how do you move that number to the left side of the cell and store it as text? 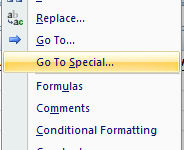 There are two fairly simple ways to do this in Excel. 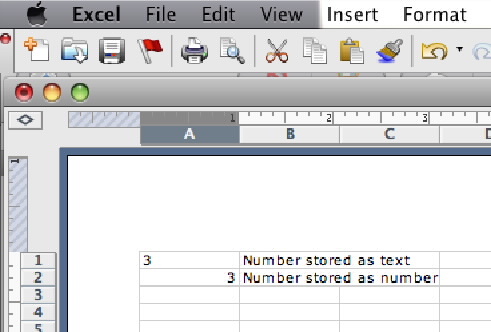 Select the cell that contains the number you’d like to format as text instead. 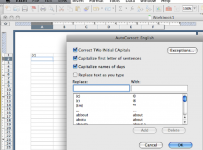 Click Format > Cells and select Text. Your number is now formatted as text. Just before inputting your number, type a single quotation mark before it ( ‘ ). For example, instead of typing 3, you should type ‘3. 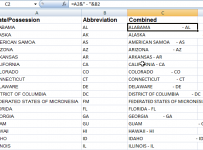 If you decide later that you’d like the data formatted as numbers again, you can easily change them back. 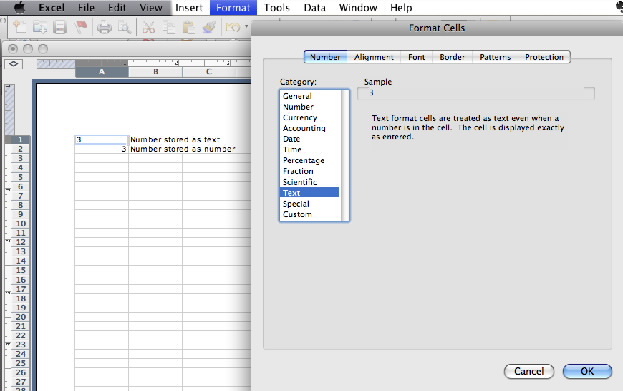 Just select the cells to format, and then click Format > Cells and select Number.